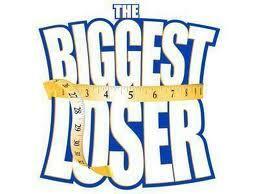 The story of the final four contestants on "The Biggest Loser" is that of underdogs. Two sisters who consistently lost weight from the beginning, but who no one thought could beat big guys like Rulon and Justin. Irene, whose mom was voted out week one. And Jay, who was actually voted out and has had "nine lives" on the show (really, it's been more like three or four). These are the only people left. While that's inspiring and all, I didn't need two hours of it. They should have skipped the make-the-best-turkey-burger challenge altogether, and just gone straight to the put-the-weigh-back-on challenge. Then, they should have cut the time we saw the contestants at home down about 10 minutes. I was really jazzed at seeing them be welcomed by friends and family, then the tears and encouraging speeches gradually sickened me. Anyway, between scenes of Bob and Jillian exclaiming at how great Jay, Olivia, Hannah, and Irene are at working out, the contestants competed to see who would make the best turkey burger for a bunch of kids. Jay's volcano burger won, giving him $5,000 and a chance to give someone a two-week stay at the Biggest Loser Fitness Ridge Resort. One: Jay's burger had tons of cheese and ketchup on it, aka, fat and salt as Bob instructed him weeks ago. The whole thing seemed counterintuitive to the idea of "Biggest Loser," except that the burger was lean turkey, not beef. Two: He wants to send his wife to Fitness Ridge. Now, this is a nice gift as he wants her to have the life-changing experience he did. It's not a nice gift because what it actually says is: "Honey, I'm skinny now and you're fat. I'm going to send you away for two weeks to fix that." The second challenge this week had both a cool premise and a great prize. The contestants were given golf bags filled with weighted flagpoles. Each pole represented how much the contestant lost each week. As they walked or jogged through the green, they dropped one pole at each hole, the number of the flagpole corresponding to the golf hole and the week in which they lost that amount. Considering they carried 98 (Hannah), 108 (Irene and Olivia) and 152 (Jay) pounds, walking 18 holes was quite a feat. Even though I've been watching all along, reliving the weight loss of each person was really revealing. They've all come really far, especially Irene who hardly showed any emotion when the show started. Hannah won by a long shot, her first individual challenge win! She got a $15,000 home gym. That's awesome. The other contestants also got an arc trainer for being in the final four. I'm jealous. At the last weigh-in, the best thing happened. Olivia and Hannah both lose 4 pounds making them, for sure, in the final run for Biggest Loser! Their whole time on the show, I have been rooting for them. Olivia and her husband Ben are so cute, and Hannah's back injury sucked me in from the beginning. I'm so glad they were strong enough to make it this far! But now the choice of the third finalist is up to "America" (as if the actual country is deciding. Reality shows should say, American citizens or something). Will the third finalist be Irene or Jay? Both have worked so hard and have become really loveable. I haven't decided who's going to get my vote, but to cast yours, visit http://www.nbc.com/the-biggest-loser/vote/.